Resources or materials are considered ‘scarce’ or ‘critical’ when there is a high demand from industry combined with a risk to their supply. Due to Europe’s high dependence on imports, there is growing concern about the supply of particular materials. In 2010 the EU published a list of 14 critical raw materials, the so called EU-14, materials on which the European economy depends but which might be at risk of supply disruptions. Supply disruption could be feared if one country exerts a monopoly of supply (e.g. China for Rare Earth Elements) or because the mineral is mainly produced in a politically or economically unstable regions (e.g. tantalum from the Democratic Republic of Congo). The European Commission have since presented a revised list of Critical Raw Materials. 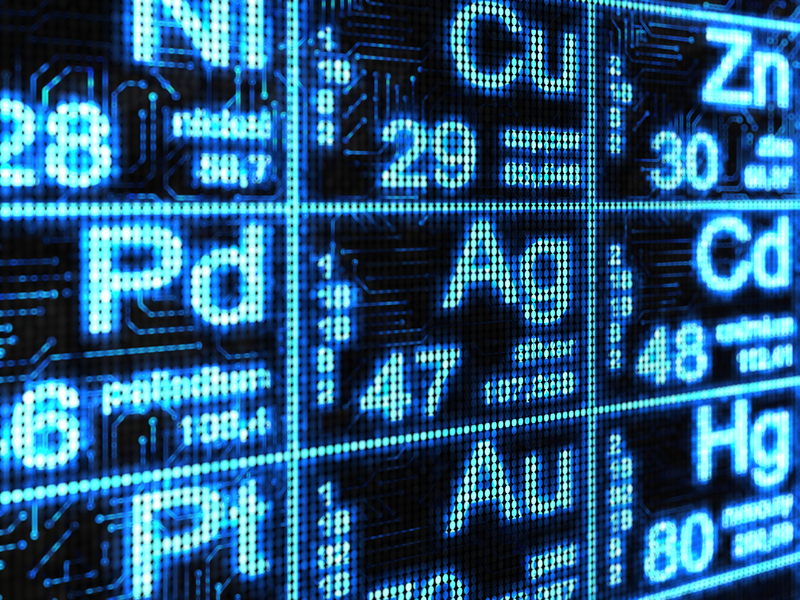 The 2014 list includes 13 of the 14 materials identified in the previous list, with only tantalum moving out of the list (due to a lower supply risk). Six new materials appear on the list: borates, chromium, coking coal, magnesite, phosphate rock and silicon metal bringing the number up to 20 raw materials which are now considered critical by the European Commission. The other 14 raw materials are: antimony, beryllium, cobalt, fluorspar, gallium, germanium, indium, magnesium, natural graphite, niobium, platinum group metals, heavy rare earths, light rare earths and tungsten. Although it is useful to draw up a list, resource scarcity is a dynamic concept, depending on many factors and varying over time. Different industries will hold very different view on which are the most importance resource for their businesses and the concept of supply risk varies by region and so various lists of critical elements or resources exist. This new list should help to incentivise the European production of critical raw materials and facilitate the launching of new mining and recycling activities. Furthermore, the list is being used by the Commission to help prioritise needs and actions. For example, it serves as a supporting element when negotiating trade agreements, challenging trade distortion measures or promoting research and innovation. It can also serve as a source of information for companies who would wish to evaluate the criticality of their own supply of raw materials. Raw materials are everywhere – Just consider your smartphone: it might contain up to 50 different metals, all of which help to give it its light weight and user-friendly small size. Key economic sectors in Europe – such as automotive, aerospace and renewable energy – are highly dependent on raw materials. These raw materials represent the life-blood of today’s industry and are fundamental for the development of environmental technologies and the digital agenda.